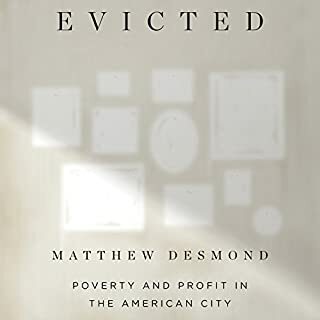 Former prosecutor Penn Cage and his fiancee, reporter and publisher Caitlin Masters, have barely escaped with their lives after being attacked by wealthy businessman Brody Royal and his Double Eagles, a KKK sect with ties to some of Mississippi's most powerful men. But the real danger has only begun as FBI Special Agent John Kaiser warns Penn that Brody isn't the true leader of the Double Eagles. Ok but definitely could put it down. 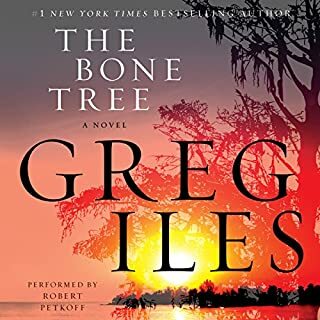 I have really enjoyed Greg Iles' Penn Cage Series, but the Bone Tree did not live up to the quality of the previous reads. I had a hard time getting into the story in the beginning, which is unusual. I think the Bone Tree would be improved by editing out many superfluous scenes as it was unnecessarily long. If you are listening to the whole series, then you won't want to miss this book as there are some big doings that I won't give away but will definitely effect the following books in the series. Glad I listened but - meh. Well, the things I learned about strip clubs - very interesting! I really enjoyed Scores, especially with the capable author narrating. 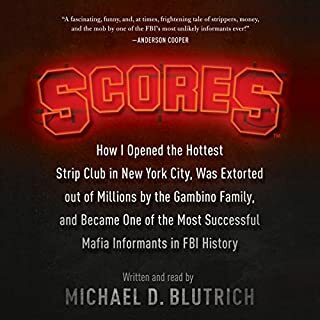 It moved a little abruptly from the running of Scores into Michael becoming an FBI informant, but that's ok. There is little need for a plot summary because the extended title says it all. The one question which I was left pondering was since Michael was supposed to go into the witness protection program, how is he living under his original name and able to write this book and live? Maybe that's in the sequel. An incredible story about the aftermath of an EMP strike. Made me realize I am not even prepared for an extended power outage! Scary topic told within a riveting tale. 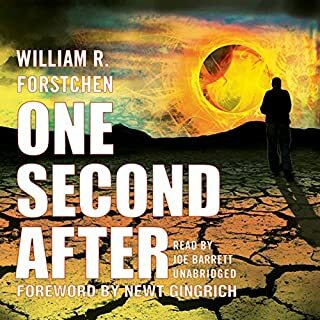 Highly recommend - and contact your senator to find out why the government isn't doing more to prepare for an EMP strike. 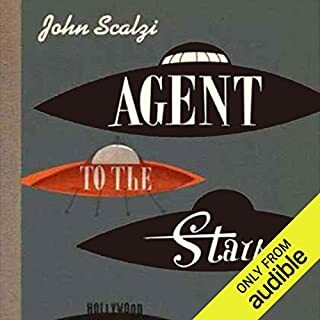 Make no mistake, I'm not giving Agent to the Stars 5 stars for being a literary tour de force, but it is a well written, fun, light hearted adventure blending aliens and movie stars. Good quality work if you're looking for a don't-have-to-think-too-hard romp. Very well narrated. 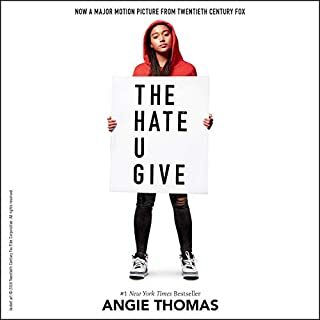 Just finished The Hate U Give and was blown away. I felt like Angie Thomas was penning a gentle letter to white people to help us understand what the heck has been going on in black neighborhoods with regard to police shootings/killings of residents, all wrapped up in a great story. Thomas cleverly has the protagonist, Star, attend a private white high school (which also provides insight into comments whites might view as a joke but are offensive to minorities) and have a white boyfriend, both of which on a certain level make Star more relatable for a white reader. Star's immediate and extended family and friends are so well drawn that I felt connected to or personally repelled by each. There is a riot scene toward the end of the book. I had tears streaming down my face - and I'm not an empathetic person. Highly recommend! 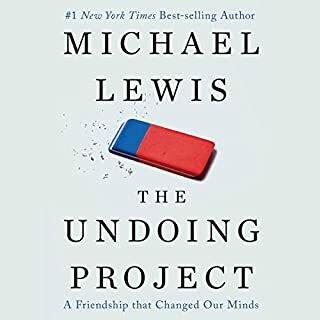 If you asked me who my favorite author is, I would say Michael Lewis, until The Undoing Project. While I appreciate the general topic of behavioral economics, the story (or lack of) is bogged down in the life of two Israeli psychologists. 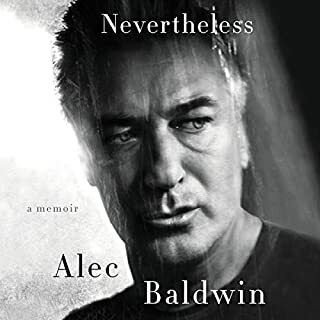 While perhaps that is the story, I found it so uninteresting compared to Moneyball, The Big Short, The Blindside, Liar's Poker or Boomerang. This will sell because it is Michael Lewis, but if it had been written by an unknown, I can't imagine it would go far. But it's not. I kept wanting to like this book, but was underwhelmed. I did not think this had the tension or interest of Gone Girl. ...you will love this. 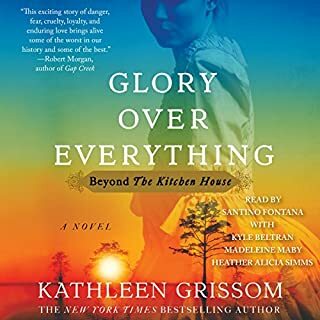 I was totally captivated by Grissom's novel The Kitchen House and found myself equally entranced with Glory Over Everything. The story continues in Philadelphia with the capture of a free black boy sold into slavery in North Carolina. 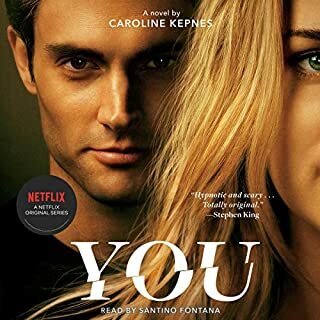 You'll recognize some of the characters from The Kitchen House as the boy's former employer travels to NC to retrieve him while revealing his own secrets and putting his life in jeopardy. I found myself coming up with more tasks to complete so I could continue listening!